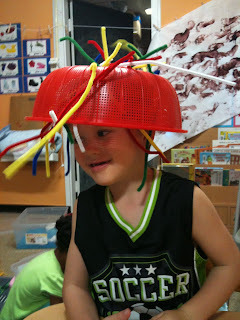 Everyday items are fun to explore with and can provide lots of learning opportunities. 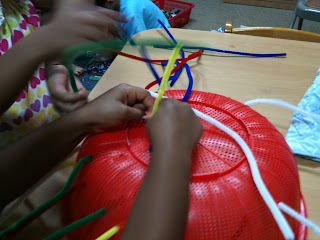 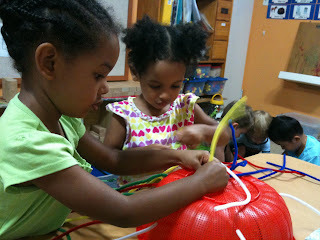 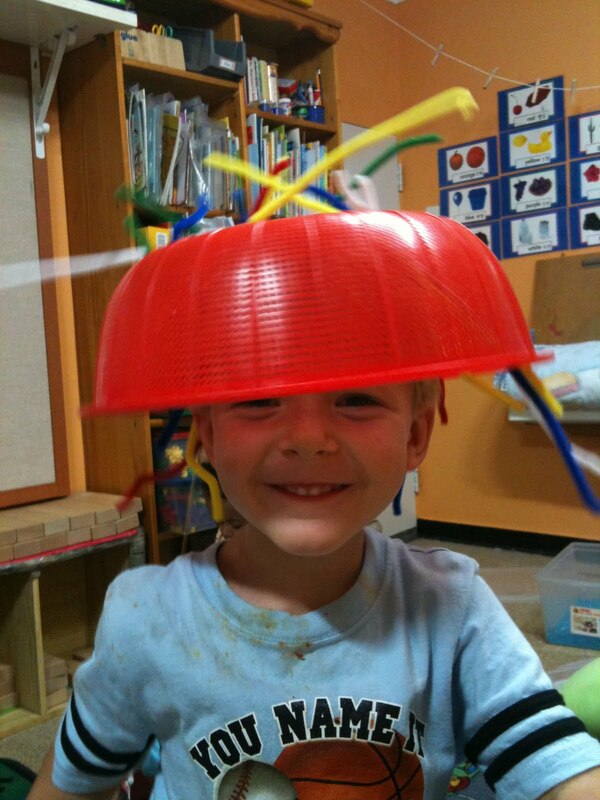 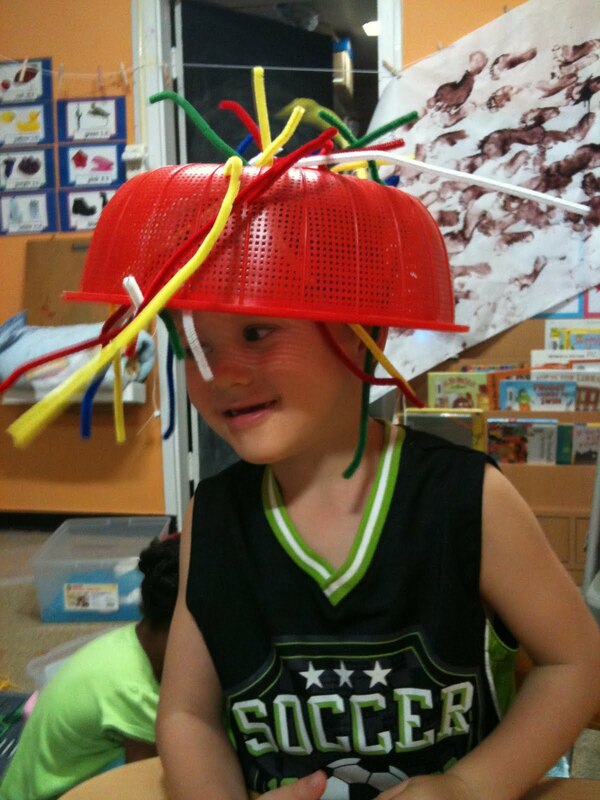 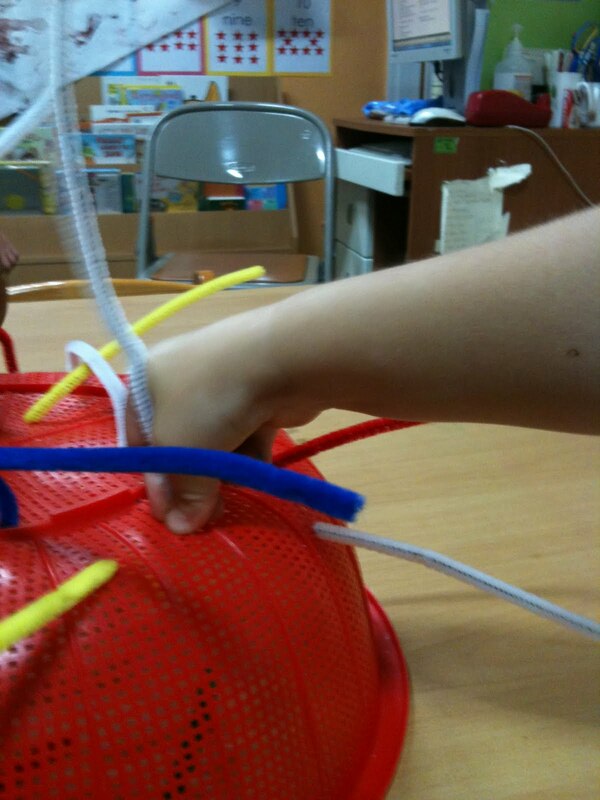 Pipe cleaners and a colander provide lots of entertainment and a great workout for our fingers. 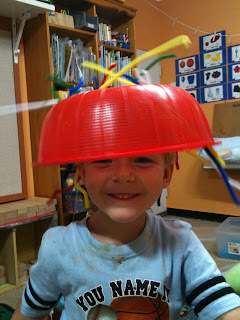 And of course it also brings a lot of opportunities for some good giggles as well.